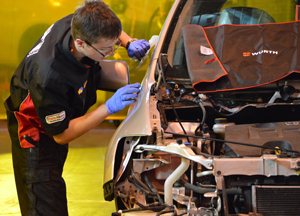 The Eyebox in Coventry has been selected as the third venue for the heats of the 2014 Institute of the Motor Industry’s SkillAuto competition. The Autobody preliminary competition will be hosted at the Eyebox training and conference facility, with Direct Automotive providing the body panels at the venue. David Massie, Skills Competition Manager for the IMI, said: “The facilities at the Eyebox are superb and fit perfectly with the standards of excellence that SkillAuto aims to deliver. 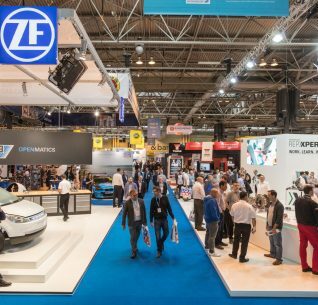 The Autotech and Autorefinish heats will be held at Jaguar Land Rover’s Academy in Leamington, and 3M’s training facility in Atherstone, with the finals being held at Birmingham’s NEC Arena during The Skills Show in November. The closing date for registrations to be involved in SkillAuto is March 21 (this Friday), with the heats taking place throughout May and June.